There are plenty of ways to make an appointment. Simply call, email or fill in the short message form on the website. What will happen on my first appointment and how long will it take? I will start with filling out a record card with your personal information and all medical history, and carry out a full neurovascular assessment to check the general foot health. From here we will discuss a treatment plan relating to your requirements and I will carry out treatment. Once the treatment is completed, we can discuss aftercare and I can answer any questions you may have. Please allow an hour for your first appointment and 30-45 minutes thereafter. It is not necessary to bring anything with you but it would be appreciated, and in some cases easier, if you could bring a list of your current medications. Why do I need a record card and what do you do with the information? The information collected on the record card is important for me to make the best possible treatment plan for your personal needs and it is also a requirement by law for insurance purposes. All information collected and discussed remains strictly confidential between the patient and myself. The type of information I will take is your name, address, date of birth, contact numbers, medical history along with anything else that could be relevant to the treatment. If you are unable to attend your appointment please give 24 hours notice for cancellation so the time can be allocated to another patient. Failure to notify will incur a charge. All appointments are £40 unless stated otherwise. More and more people are experiencing some level of podiatric ailment throughout Leicestershire and seek chiropodist care, be it from your hind, mid, forefoot or a combination of the three. You will be experiencing a physical debilitation that goes with all podiatric complaints, as well as the possibility of anxiety and depression which can weigh heavy on your life. Now relief is at hand through private podiatry in Leicestershire. Your foot misery relief is the obsessive goal at Feet@theclinic private treatment clinic in Loughborough, Leicestershire, which delivers comprehensive care for foot disorders which blight so many people’s lives. The Loughborough private clinic is led by Leicester practitioner Rebekah Henning who offers preventative, protective and corrective therapy and treatments, proven by science and delivered by skilled practitioners using cutting edge techniques and equipment. Rebekah Henning is a highly skilled technician who is proactive in her ongoing foot health studies, development, and is continuously evolving methods and procedures of treatment in Loughborough, which she delivers with skilled proficiency and expertise. Rebekah Henning is a Member of the British Association of Foot Health Professionals (MAFHP) and a Member of the College of Foot Health Professionals (MCFHP). Individual, personal treatment and care is a matter of priority, along with stringent health and hygiene controls. For a foot specialist in Loughborough there is no better professional treatment than with Feet@theclinic, the best place for all treatable foot conditions and ailments. At our private Loughborough clinic, we see many clients that are afflicted by conditions caused by poorly fitting footwear. It is vital that you wear shoes that give good all-round support to the foot, not too tight or too loose. Women, more than men, tend to suffer with conditions caused by ill-fitting footwear and frequently require a skilled chiropodist. Common podiatric conditions such as, blisters, bunions, inflammation, acute ache, toe disfigurement, damaged, bruised or ingrowing toe nails are all too prevalent. Less common problems, such as Morton’s neuroma, can be very painful and can make day to day activities difficult and uncomfortable which can put stress on other muscles causing leg and back pain. However, relief from the common, and less common, painful conditions is at hand, be it remedial or on-going preventative treatment, with the skilled foot specialists at Feet@theclinic in Loughborough. People from all walks of life visit our Loughborough private treatment and therapy clinic from far and wide and they all have one thing in common, their feet are making their lives somewhat miserable and in some cases their conditions can be debilitating. The science of podiatric care has advanced immeasurably over the years, largely through necessity due to the increasingly fast and frantic pace of modern life, which for many people, has caused them to attend a chiropodist for treatment. People are becoming more and more aware of how crucial, and comforting, it is to seek private podiatry care for ailments that can easily blot their lives. We, at Feet@theclinic Loughborough private clinic, aim to reverse our client’s misery and discomfort with unparallel treatment and advice to help make their hectic lives more tolerable. Feet@theclinic private clinic, Leicestershire, is situated in Loughborough, just off the A6, to the North of the city of Leicester. Loughborough Podiatric clinic is convenient for our busy clients in the bustling cities of, not just Leicester, but also Derby and Nottingham, as well as the expansive outlying rural areas of Leicestershire. Tamworth, Burton on Trent and Grantham are also in easy reach of our modern practice in Loughborough, Leicestershire. We welcome all visitors and enquirers, and all clients, old and new, are treated with the upmost confidentiality. Our expert staff are sympathetic and understanding of each individual’s needs and requirements. With a personal treatment plan, formulated by our diligent and professional Loughborough practitioners, for each individual we can maximize the therapeutic benefits our clients experience from each visit. Enquiries can be made direct to us by phone, 073799 488195, or visit us at Feet@theclinic, High Street Chambers, 25 High Street, Loughborough, Leicestershire, LE11 2PZ. We have buzzer access for security and a stairlift is available for clients with mobility problems. So, escape the misery and discomfort of your foot problems with us at Feet@theclinic private podiatry, Leicestershire. "Rebekah was very friendly and caring. She gave my feet a 5* treatment and has got rid of the discomfort. Would recommend to anyone"
"'Excellent service and beautiful clinic. 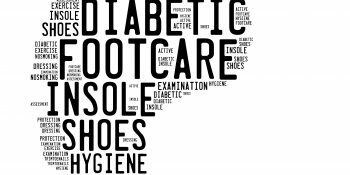 I am a newly diagnosed type 2 diabetic and am so worried about my feet, Rebekah put me at ease and inspected my feet thoroughly and even gave me some information to take away. I feel so much better and feel in good hands. I will be a regular"
"Lovely lady, I felt instantly comfortable. The pain in my heels have gone. I will be returning"
© 2018 Feet@TheClinic All Rights Reserved.